I mentioned my Sephora palette (and my Inglot one) in my holiday haul a while ago, but I really wanted to review and swatch it for you as well. 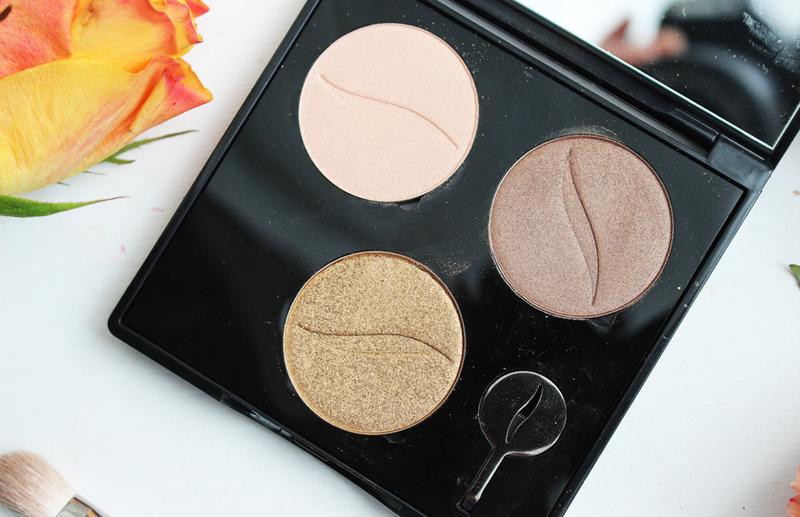 It is a lovely little palette and I actually managed to get it during a great offer, making it an absolute bargain! Just in case, you are wondering, I got mine in Poland, but you can buy it from Sephora's website and in all Sephora stores as well. I got mine during a 2 for 3 event and got the actual palette as a free gift, so my total came to just under £15.00. 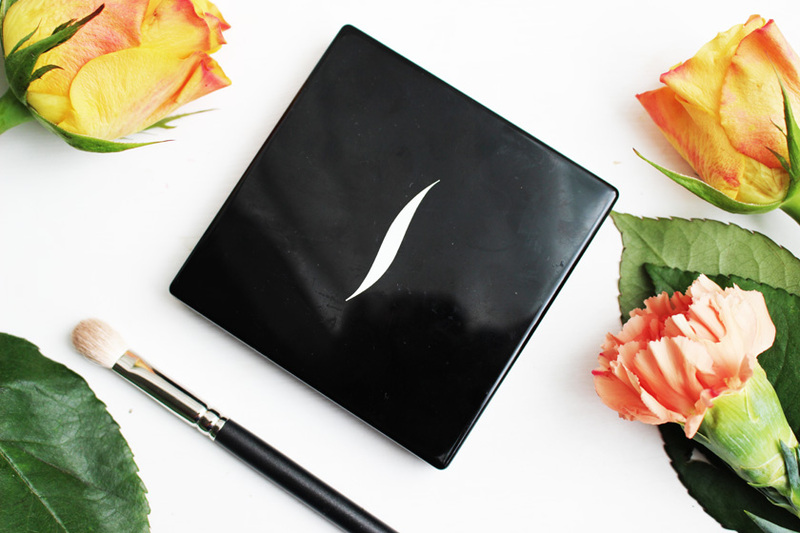 The 3 Pan Palette ($12.00) is magnetic and comes with a big mirror inside. It feels very sturdy and it would be ideal for travelling. I decided to go for three shades I could use on their own allover the lid or mix for a subtle smokey eye. You would be surprised how many looks you can create with three colours. 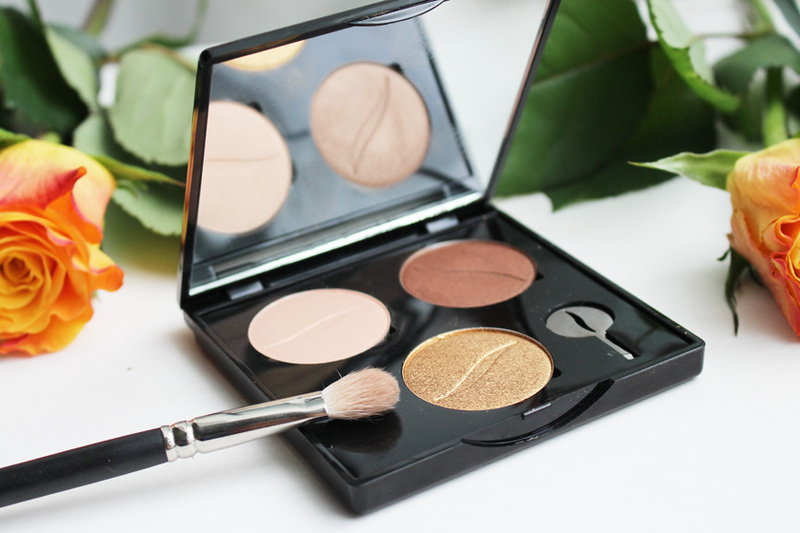 The eyeshadows come in their own separate cases and are very easy to transfer into the palette with the little metal tool provided. You simply pop them in and out without worrying about damaging the shadows. Perfect! The Sephora Collection Eyeshadows retail at $13.00 each, which is very reasonable considering how much product you get, which is 2g. For reference - MAC shadows weigh 1.5.g. 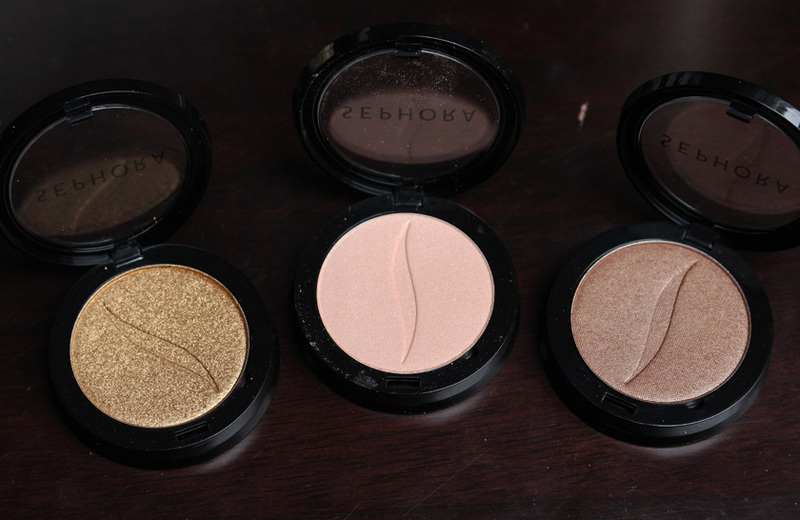 The shades I got are: 03 Girls Night Out (metallic gold), 80 It Bag (taupe with a satin finish), 74 Walking In The Sand (light beige with micro shimmer). They are all nicely pigmented and the formula is soft, easy to blend and long lasting - it actually reminds me of MAC a lot. The description says that they last for up to 10h, but with a primer they actually last on my lids all day. I very rarely have issues with shadows fading though. There is no creasing or fallout either. 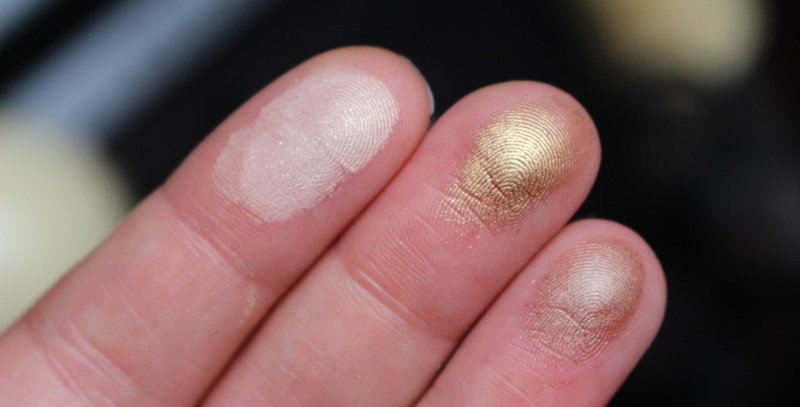 Just look at the swatches - they shades are simply beautiful! I am very pleased with my little Sephora palette and I might pick up more shades when I am in France or Poland next year. 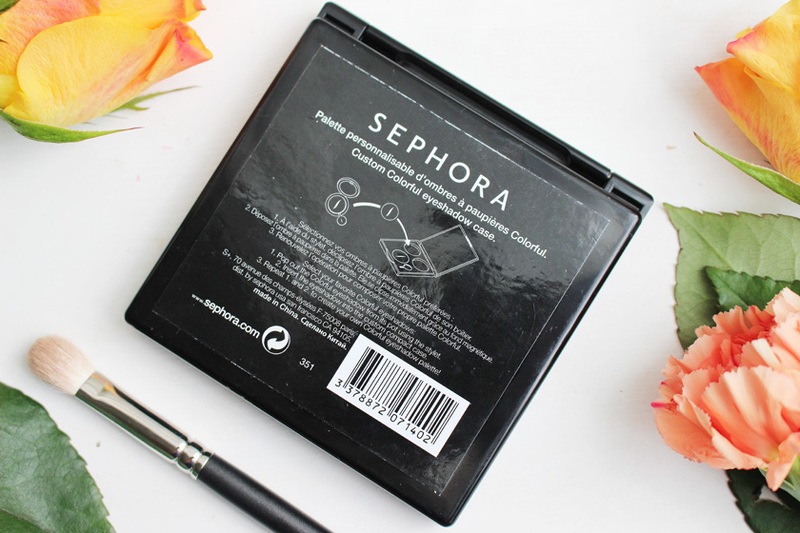 Have you tried Sephora eyeshadows?